What is Cyber Monday? It refers to the Monday after Thanksgiving mainly observed by United States, Canada, United Kingdom, Portugal, Germany, UAE, Egypt, Chile, Colombia and Japan. It is one of the biggest online shop days when people can find out the best deals to reserve for upcoming New Year. Among the dizzy marketing promotions are sorted out the top 5 Cyber Monday deals in 2017. Last year, Apple didn't take part in the Cyber Monday activities and Apple has not announced any information about Cyber Week sales on its website store regarding new Apple products like iPhone X/8, iMac Pro, Apple TV 4K and more. However, if you really want to get your hands on their discount, we are positive that stores that carry the brand will have discounts. They will blow out as Cyber Monday and Black Friday deals on some famous websites like Macmall, offers.com and BestBuy. Amazon has made the countdown for 2017 Cyber Monday Deal. You can find fabulous tech deals at Amazon, such as software, flash memory/drives, electronics, video games, DVDs, as well as some gadgets, tablets, laptops, HDTVs, such as Kindle Fire, Xbox, PlayStation, Wii and Asus Vivotab. Here you can find TVs (HDTVs and SmartTVs), laptops, PS4 & Xbox One, video games, digital cameras and other general goods at lower prices. Early in December, You'll find Cyber Monday 2017 savings and doorbusters at BestBuy.com, which makes it easy to compare products and helps shop with confidence. Don't miss out Wal-Mart's Online-only Specials, a good place to buy electronic devices and living things. If you are looking for a cheap iPad, iPod Touch, camcorder, HDTV Holiday Bundle and some other holiday bundle as Black Friday Deals, please visit here. At winxdvd.com, you will find the best Black Friday sales and Cyber Monday deals around Thanksgiving from December 2017 to January 2017. It may offer the DVD Bluray Video software you and your family need most. 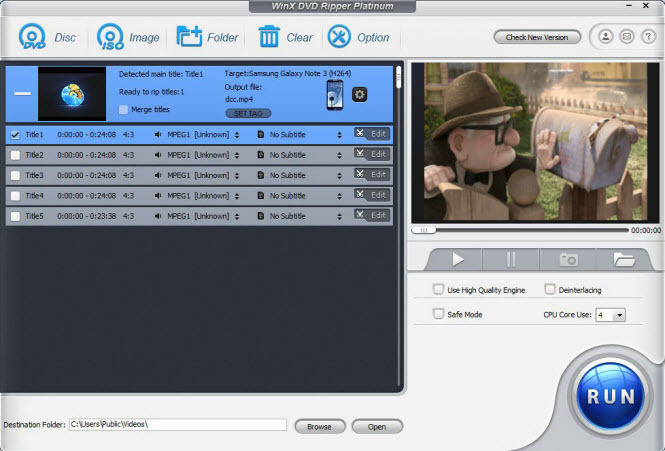 Specifically, you are invited to get free WinX HD Video Converter Deluxe for video format conversion/compression, YouTube downloading, holiday slideshow making for your kids, free WinX DVD Copy Pro to clone DVD to DVD, WinX DVD Ripper Platinum License Codes to rip and convert DVDs to iPad Pro/mini 4, iPad Air 2, iPhone X/8/, Surface Pro 3/4, PS4, Xbox One, Samsung Galaxy S8, Kindle Fire, Nokia Lumia, Asus etc.